Dandara is a pharmacogenetics researcher based in the Division of Human Genetics, Department of Pathology at the University of Cape Town. His group has investigated extensively the pharmacogenetics of antiretroviral drugs. His group’s other interests includes pharmacogenetics of warfarin, and genetic susceptibility to diabetes. 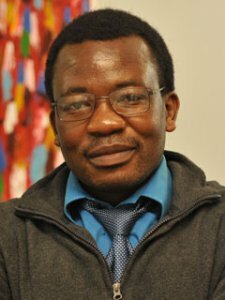 He was born in Zimbabwe in 1972 and proceeded to do undergraduate and postgraduate studies at the University of Zimbabwe, completing with a PhD in 2003, after a sandwiched program to University of Karolinska, Stockholm, Sweden. Collet Dandara has contributed immensely to the characterization genetic variation in African populations, becoming none of the leading voices/researchers on pharmacogenetics/pharmacogenomics researchers in Africa. After completing his PhD, Collet Dandara joined the University of Cape Town as a postdoctoral research fellow from 2003 completing 2007 after which he moved to the University of Witwatersrand as a junior lecturer (2008). In 2009, he moved back to the University of Cape Town as a senior lecturer, resulting in the setting up his pharmacogenetics and cancer research group. In 2012 Collet was promoted to the rank of Associate professor and in 2015, successfully applied and was appointed to the rank of full professor. Collet Dandara has many local (South African) and international collaborations.